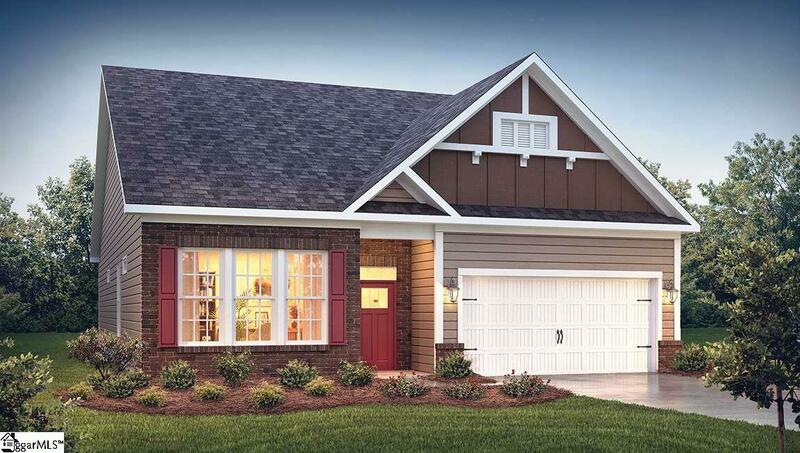 The Azalea is the perfect open concept, ranch style home that features a spacious family room with a cozy fireplace and both formal and casual dining areas. The Gourmet Kitchen offers an expansive Granite Island, Recessed Lighting, Tile Back-splash and Frigidaire Stainless Steel appliances, including dishwasher, microwave and Gas Range. The Breakfast area next to the kitchen leads out to the built in covered patio for year round enjoyment. The Owners Suite with Trey Ceiling looks out to the rear of the home for privacy. This home features a Luxury Owners Bath with Dual Vanities and Large Walk-In closet. 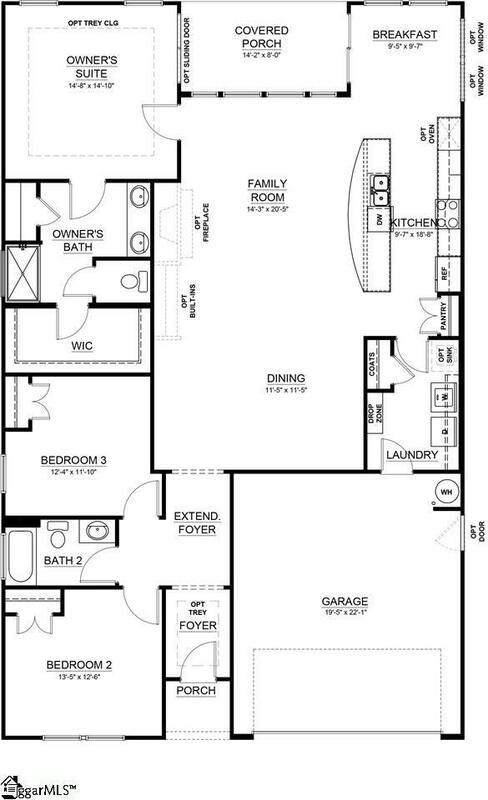 The other 2 bedrooms are located in the front of the home with a hallway bathroom. The home is complete with 5 inch Hardwood Floors through-out the main living areas, 2-piece crown molding, chair-rail, wainscoting and a 2 car garage. Lots of great built in energy saving features! Perfect Eastside location. 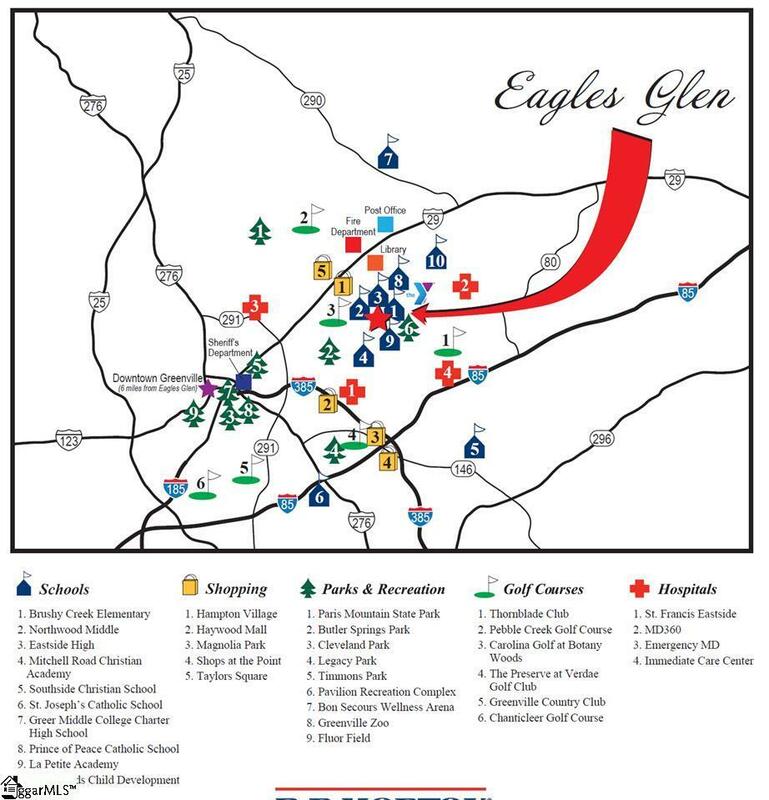 Come visit Eagles Glen today. 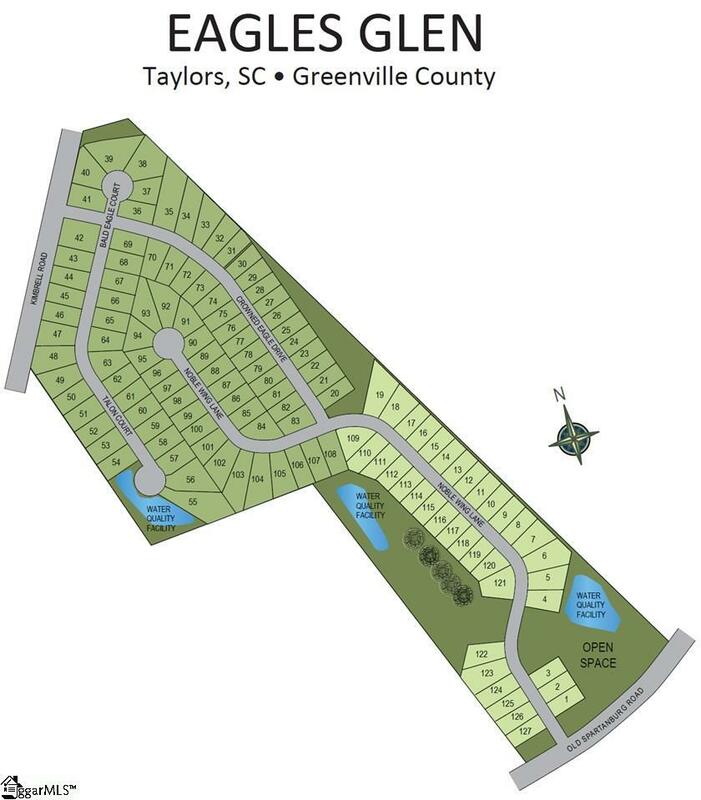 This home is complete and ready for a quick move in.